Mas Llunes contacted Playmodes to create an audiovisual scenography and experience to dress their wine testing. 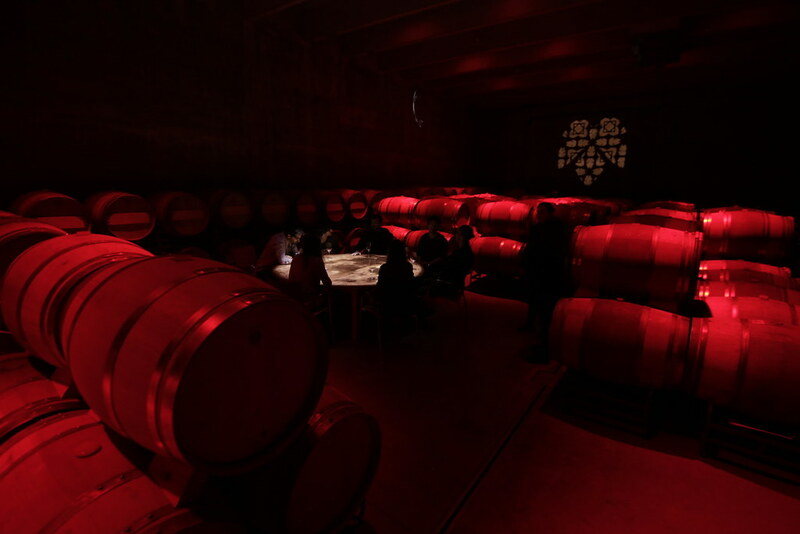 The space for the tasting is an industrial warehouse, filled with wine barrels. 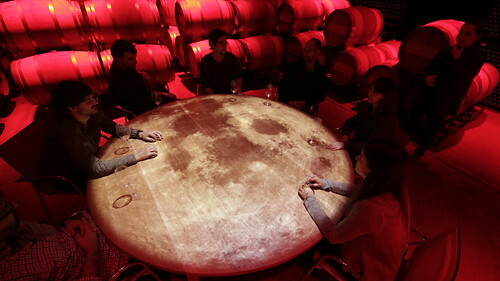 We planned a different layout for the positioning of the barrels and designed a circular table for the guests to sit around it while testing the wines, and also as a videoprojection surface. This modification arranges a proper scenography which creates an intimate ambience, surrounding the guests with barrels and creating a defined space for the wine tasting. 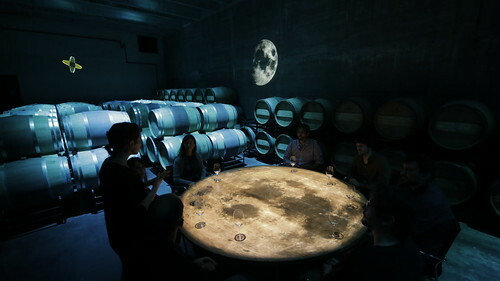 In terms of lighting design, we integrated 4 videoprojectors: 2 of them shooting at the side walls, showing graphic design from the wine bottle labels; another videoprojector is shooting from the ceiling to the circular table; we modified the 4th videoprojector with a DMX controlled moving mirror, so that we could move the image all around the space. 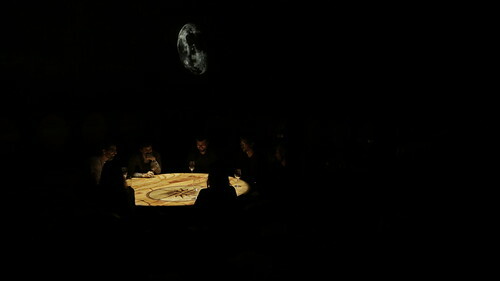 In addition, we installed 20 RGB parLED fixtures to wash the whole room with color ambience. 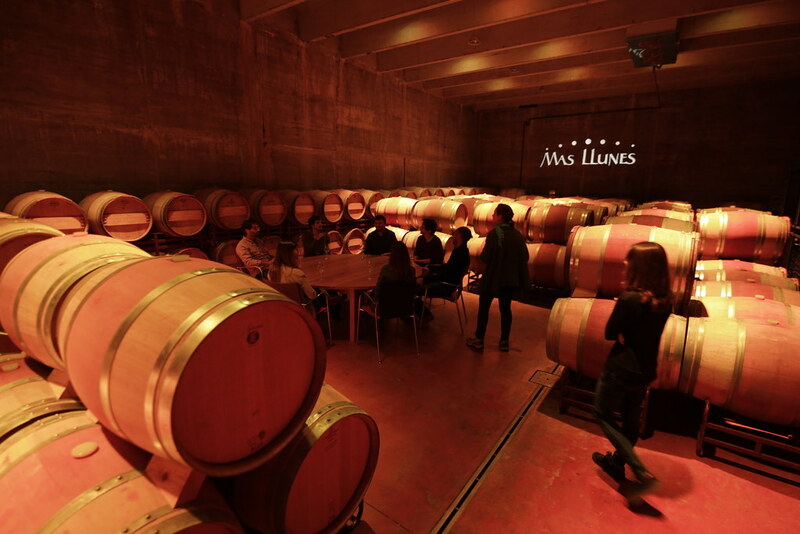 This RGB wash was synchronized in terms of rhythm and chromatism with each of the different wines that were being tasted, creating a coherent ambient for each of the wine tastings.